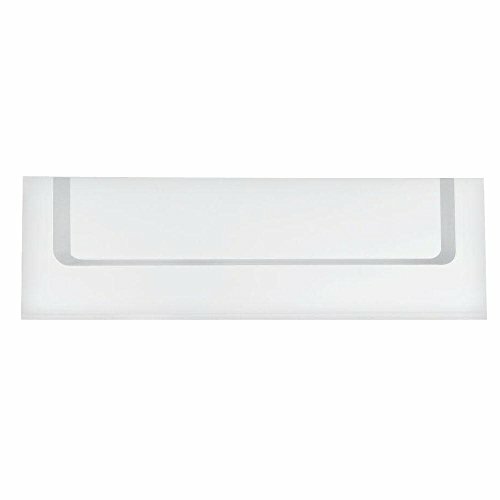 2461002.020 Finish: White, Drain: Right Hand, Drillings: Without Grab-Bar Drillings Features: -Available in bone, linen and white.-Left hand or right hand end drain outlet.-Full slip-resistant surface.-ADA Compliant.-Available with or without grab-bar drillings. Construction: -Americast construction. Color/Finish: -Glossy porcelain finish. Specifications: -Soaker bath tub ONLY. For whirl pool model see 2460.028W. Dimensions: -Interior Dimensions: 17'' H x 54'' W x 26'' D.-Overall Dimensions: 17.75'' H x 60'' W x 32'' D.
American Standard Cambridge Bathtub The American Standard Cambridge americast 5-foot bathtub is perfect for long and enjoyable baths. Made of americast material, the tub is 50% lighter and more durable than a traditional cast iron tub. It is also easier to install with its integral apron. The integral apron means the bathroom facing side of the tub is already finished. Your plumber will enjoy having one less thing to do and your wallet will enjoy the money you have saved. The Cambridge is also safe and comfortable with its slip-resistant surface and beveled headrest. The Cambridge 5-foot bathtub is a perfect addition to your bathroom. Available in bone, linen, and white finishes. 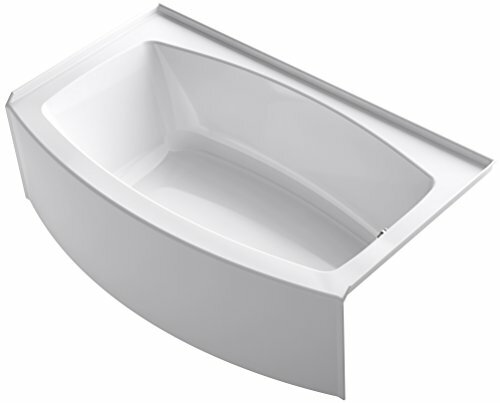 Americast Construction Americast is a revolutionary alternative to cast iron bathtubs exclusively available from American Standard. An americast bath tub features several advantages over a traditional cast iron tub, they are more durable, 50% lighter, and costs less to install. Americast also has several manufacturing benefits allowing the bathtub to be made deeper, flatter, and roomier. Easy Installation Installing a American Standard Cambridge bathtub is a job you do not have to keep putting off or making excuses about. With its 32-inch width, the Cambridge fits easily into standard bath alcoves. There is no need to build a supportive platform either as the Cambridge features an integral apron. Meaning your bathroom facing side of the tub is already finished. To allow for a quicker installation, the Cambridge also features an integral tile flange along the three wall sides of the tub. The tile flange allows the tub to stay in place while setting title that meets with the tub. The Cambridge bathtub is designed for easy installation, so you can get the job finished on time and move on to enjoying a bath in your new tub. Stylish Comfort Style and comfort come together in the Cambridge's classic design. Complementing the bathtub's gently curved and embracing bathing well, the apron front has a single, linear contour. To give the bathtub a pleasurable bathing experience the Cambridge features a lumbar supportive contour and a beveled headrest. With the American Standard Cambridge your bathroom can be stylish and enjoyable. Now you can have a comfortable place to enjoy soaking away your stressful days. Designed with You in Mind Throw away your unsanitary mats. You do not need any tapes to prevent slippage either. 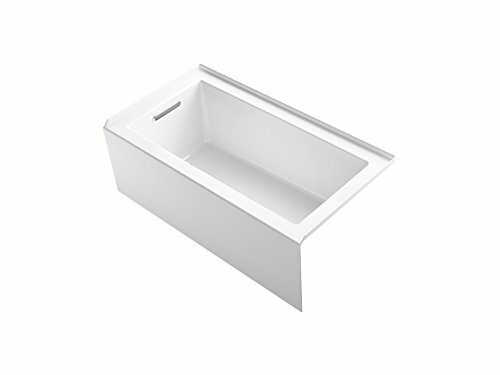 For your safety the Cambridge tub's bottom of the bathing well is designed to be fully slip-resistant. In addition, the Cambridge complies with the ADA (Americans with Disabilities Act) when a bath seat is installed at the drain end of the tub. 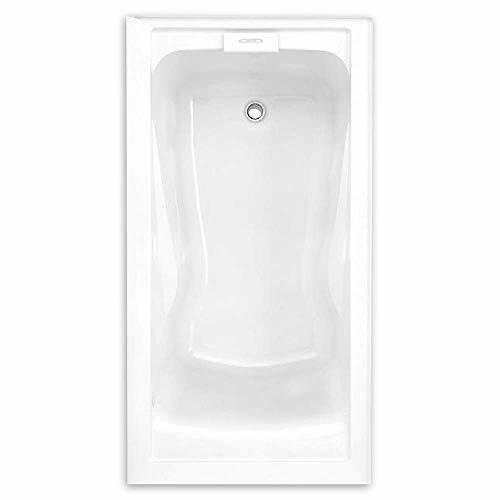 Dimensions The American Standard Cambridge americast bathtub measures 60 by 32 by 17-3/4 inches (1524 by 813 by 451 millimeters). The bathing well dimensions are 54 by 26 by 17 inches (1372 by 660 by 432 millimeters). 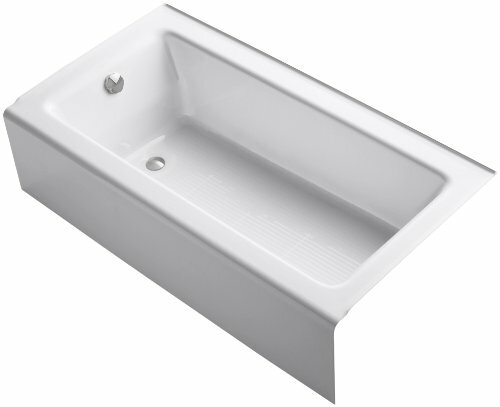 What's in the Box American Standard Cambridge americast 5-foot bathtub with right-hand drain. "The Archer bath features Comfort Depth design, a deep soaking experience with a low step-over height. This exclusive design offers a relaxing bath experience that is easy to enter and exit. 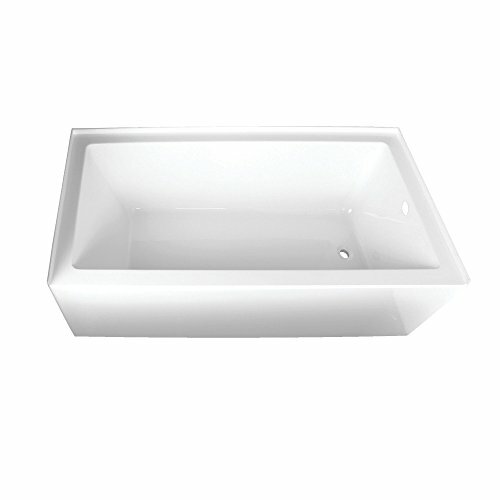 Water depth is raised to the same level as a standard 20"" - 21"" tall bath through the unique slotted overflow. The transitional aesthetic of the Archer Suite also complements many different bathroom d cors. " 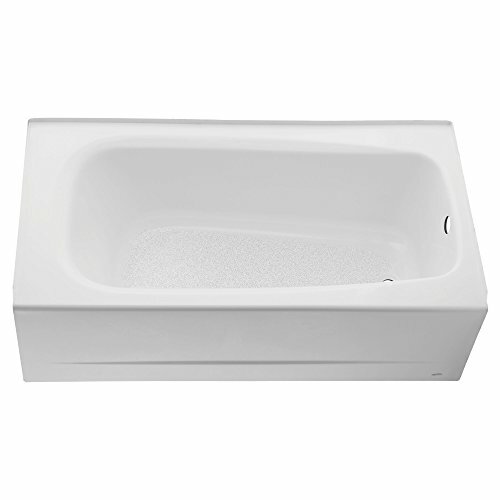 This item is a American Standard 2393.202.020 Princeton Recess 5-Feet by 30 Inch Right-Hand Drain Americast Bathtub with Integral Apron, White . Purpose of use for Plumbing Fixtures, Tubs and Showers. This product is manufactured in United States. The updated, clean lines of the Bellwether Bath coordinate with a variety of products. Made of Cast Iron, it incorporates an integral apron and 3-sided flange for ease of installation. The Kingston Brass Aqua Eden 66-Inch Acrylic Alcove Tub was designed to add beautiful form and function to your bathroom. 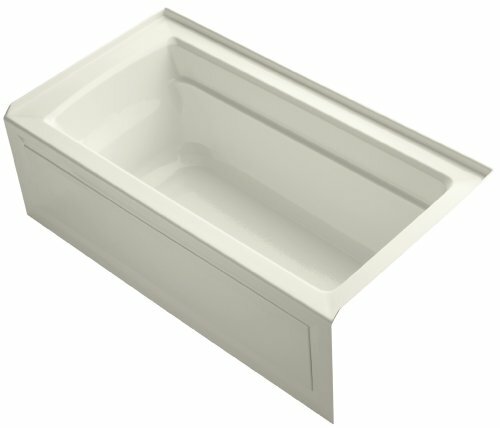 Complementing a variety of modern and transitional decor schemes, the tub features an attractive apron front, a right hand drain, and a strong acrylic construction built for long-lasting durability. With a 62 gallon tub capacity and plenty of leg room, this drop in alcove tub is the perfect piece to complete any modern bathroom ensemble. Featuring a simple, crisp design, this Underscore alcove bath exudes refined style with contemporary flair. A slotted overflow drain allows for a luxuriously deep bath as you relax against the comfortable sloped backrest. This ada-compliant bath offers a low step-over height for ease of access. Expanse provides a luxurious bathing experience in a compact, space-saving design that's ideal for smaller bathrooms. A curved basin and integral apron lend graceful elegance to your bathroom and provide plenty of extra room to stretch out and soak. Expanse's standard size makes for easy updating and renovation, while its modern style coordinates with a variety of bathroom fixtures. 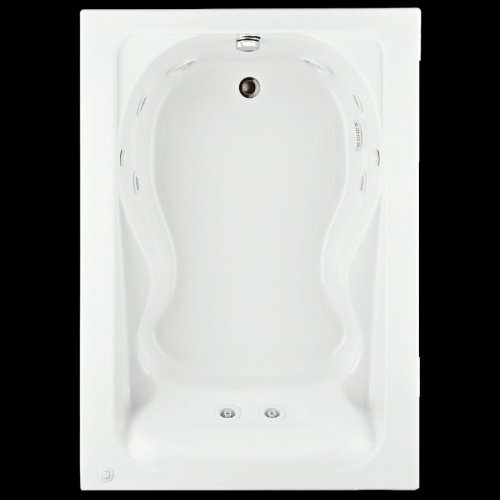 This 2 Person Indoor Whirlpool/Hot Tub White Bathtub will add a modern look to any bathroom. It comes with the FREE Heat Pump already installed and Remote! 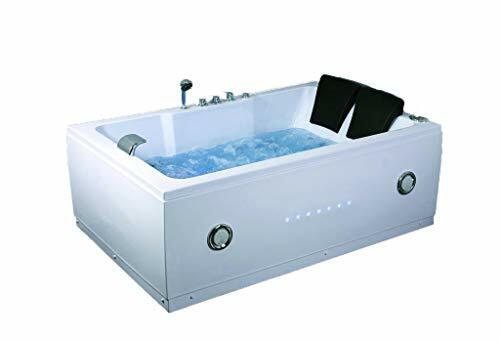 These are fully equipped with Massage Jets, Air Jets, LCD Control System, Hand Held Shower Wand, FM Radio, 2 Soft Padded Waterproof Headrest, Thermostatic Faucet (with Ozone Water Cleaner), and Underwater Lighting Effects. Water Level Sensor also included. This is a great investment for any home. These will ship BRAND NEW in a sealed factory crate. Full 5 years warranty on tub structure, 1 year warranty on electrical. Power Requirements: 110v, and a 20 amp dedicated outlet will be needed. Materials: Acrylic and ABS compound material with 3 layers of glass fiber reinforcement and a stainless steel frame. Certifications: CE,ISO9001. Standard delivery is curbside delivery via Freight Courier, with lift gate. Please read our Amazon storefront info and shipping policies, as it may not be possible for us to ship this item to your location. *NOW WITH BLUETOOTH! * Includes: Water Jet Pump (1 HP, 750W), 6 Adjustable Massage, 8 Back Jets, 13 Air Jets (250W pump). Power: 110v and 30 Amp (Dedicated), Dimensions: 72 L x 47 W x 26 H overall, Inner tub: 64 L x 39 W 21H. Ships LTL Freight with curbside delivery via lift gate or dock unload. 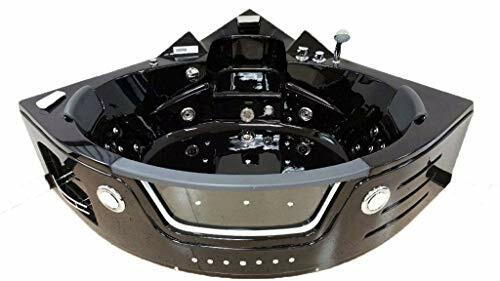 This newly designed 2 Person Indoor Black Lucite Acrylic Whirlpool/Hot Tub Bathtub will add a modern look to any bathroom. It comes with the Heat Pump already installed. These are fully equipped with Massage Jets, Air Jets, Waterfall Faucet, FREE Heat Pump, LCD Control System (with Remote Control), Hand Held Shower Wand, FM Radio, RCA/CD/MP3 Player Input, 1 Speaker, 2 Soft Padded Waterproof Headrests, Thermostatic Faucet (with Ozone Water Cleaner), and 1 LED Chromatherapy Underwater Light. Water Level Sensor also included. Leveling legs are on bottom of tub to ensure it sits perfectly level. This is a great investment for any home. These will ship BRAND NEW in a sealed factory crate. Materials: SOLID Lucite Acrylic and ABS compound material with 3 layers of glass fiber reinforcement and a stainless steel frame. Standard delivery is curbside delivery via Freight Courier, with liftgate. Please read our Amazon storefront info and shipping policies, as it may not be possible for us to ship this item to your location. Thermostatic Faucet, 1 Underwater LED Light, FM Radio, RCA Input, 2 Speakers, 2 Padded Headrests. Dimensions:(Corner Design) 62 from the corner, 26 High, Power: 110v/25A, 3 Year Parts Waranty. Ships LTL Freight with curbside delivery via lift gate only. American Standard Evolution Deep-Soak Bathtub with Apron American Standard takes bathing seriously. That s why the American Standard Evolution bathtub is designed for a deep soaking experience, allowing you to hop in after a long day and simply relax. Let the water soak up all the stress so you can focus on other, more important, and enjoyable priorities. Bathtub Features The American Standard Evolution deep-soak tub received its name by allowing more water to fill up the tub over a traditional bathtub. The Evolution allows 3-inches more water than a normal bathtub, giving the bather an improved bathing experience. A deep soak max drain is required and must be purchased separately to use this feature. Since the bathtub was designed for a deep-soaking and relaxing experience, certain comforts were also added into the mold of the tub to improve the bathing experience. Two of those features American Standard designed into the bathtub were a backrest and dual armrest. Both of these features allow the bather to enjoy relaxing in the tub for extended periods. The bathtub itself is made of fiberglass-reinforced acrylic giving it extra strength but still being relatively light in comparison to enameled steel and cast iron tubs. The bathtub also features a recessed design, meaning 3 of the sides are enclosed by walls and an apron is used to cover up the exposed side. About American Standard Brands American Standard Brands give you performance and style in every product. With new lines of consumer design-driven selections, coordinated offerings that match American Standard Chinaware collections and styles, as well as exclusive performance features that eliminate leaks, reduce installation time, save water, and add durability and dependability, American Standard products are the choice to improve your home. Shop American Standard brands on Amazon such as Porcher, Crane Plumbing, JADO, and of course American Standard to find the right plumbing fixture to complete your ideal kitchen or bathroom. When it comes to bathing American Standard know how important a soothing bath or rejuvenating shower can be. That's why American Standard makes relaxation, comfort and safety their priorities when designing all bathing products. American Standard tubs have the right size, depth, combination of jets, lighting options and accessible solutions to help you create the perfect bathing experience. What's in the Box Inside the box you will find one American Standard Evolution deep-soak bath tub measuring 5-feet by 32-inches. The deep soak max drain must be purchased separately. Wash the Body. Cleanse the Soul. 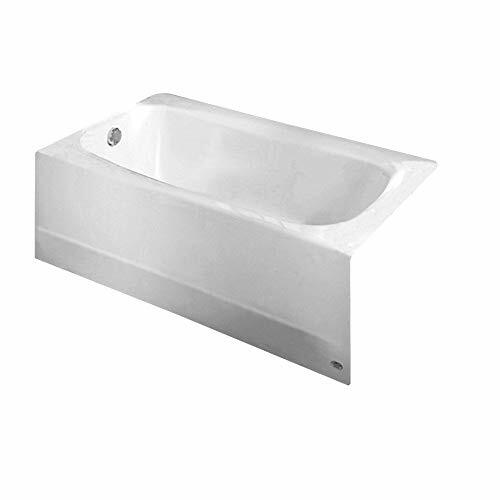 With Cambridge.THIS MODEL IS FOR THE BATHTUB ONLY. 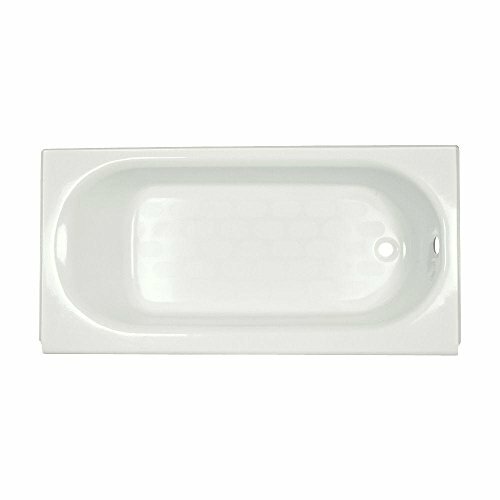 The American Standard Cambridge 5-Foot Bathtub The American Standard Cambridge americast 5-foot bathtub is perfect for long and enjoyable baths. Made of americast material, the tub is 50% lighter and more durable than a traditional cast iron tub. It is also easier to install with its integral apron. The integral apron means the bathroom facing side of the tub is already finished. Your plumber will enjoy having one less thing to do and your wallet will enjoy the money you have saved. The Cambridge is also safe and comfortable with its slip-resistant surface and beveled headrest. The Cambridge 5-foot bathtub is a perfect addition to your bathroom. Available in bone, linen, and white finishes. Easy Installation Installing a American Standard Cambridge bathtub is a job you do not have to keep putting off or making excuses about. 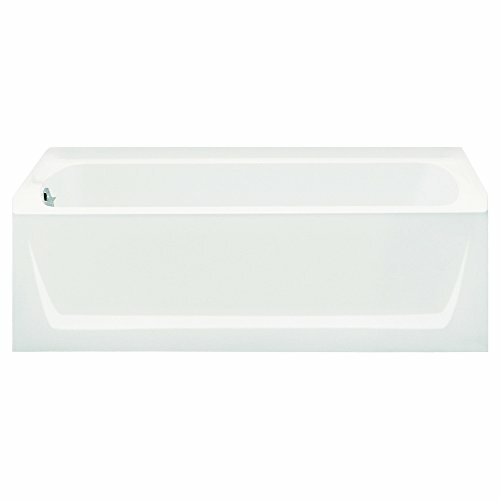 With its 32-inch width, the Cambridge fits easily into standard bath alcoves. There is no need to build a supportive platform either as the Cambridge features an integral apron. Meaning your bathroom facing side of the tub is already finished. To allow for a quicker installation, the Cambridge also features an integral tile flange along the three wall sides of the tub. The tile flange allows the tub to stay in place while setting tile that meets with the tub. The Cambridge bathtub is designed for easy installation, so you can get the job finished on time and move on to enjoying a bath in your new tub. 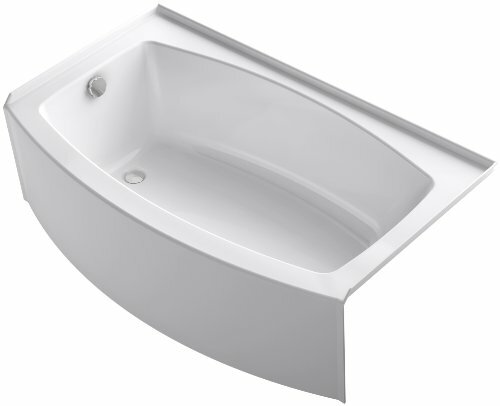 What's in the Box American Standard Cambridge americast 5-foot bathtub with left-hand drain. This is a 5-Feet Apron for an American Standard Evolution bathtub. Bathe in beauty with this classically designed bath Revealing traditional, elegant lines, the Devonshire bath offers old-world appeal in a sleek silhouette The heated surface warms your back and neck with adjustable temperature settings to create a soothing, spa-like environment Lumbar supports and armrests invite you to lean back and relax and the textured floor provides sure footing An integrated tile flange helps protect against behind-the-wall water. All products are shipped from abrard requires 15-43 days. If you want fast delivery, please choose express. 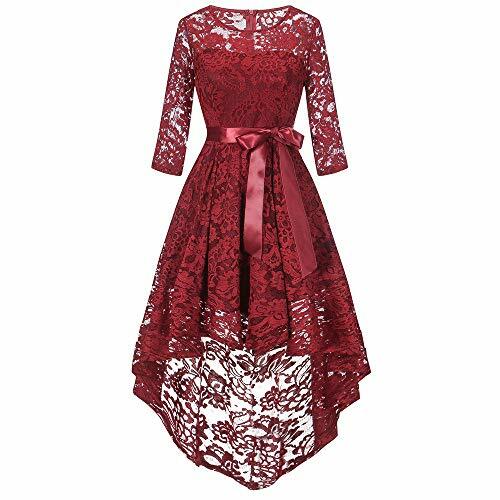 Size: S US: 4 UK: 8 EU: 34 ---Bust: 86cm/33.9" ---Waist 67cm/26.4" ---Shoulder: 37cm/14.6" ---Sleeve: 40cm/15.7" ---Front Length: 95cm/37.4" ---Length: 135cm/53.1"
Size: M US: 6 UK: 10 EU: 36 ---Bust: 91cm/35.8" ---Waist 72cm/28.3" ---Shoulder: 38cm/15.0" ---Sleeve: 41cm/16.1" ---Front Length: 95cm/37.4" ---Length: 135cm/53.1"
Size: L US: 8 UK: 12 EU: 38 ---Bust: 96cm/37.8" ---Waist 77cm/30.3" ---Shoulder: 39cm/15.4" ---Sleeve: 42cm/16.5" ---Front Length: 97cm/38.2" ---Length: 135cm/53.1"
Size: XL US: 10 UK: 14 EU: 40 ---Bust: 101cm/39.8" ---Waist 82cm/32.2" ---Shoulder: 40cm/15.7" ---Sleeve: 43cm/16.9" ---Front Length: 97cm/38.2" ---Length: 137cm/53.9"
Size: 2XL US: 12 UK: 16 EU: 42 ---Bust: 106cm/41.7" ---Waist 87cm/34.3" ---Shoulder: 41cm/16.1" ---Sleeve: 44cm/17.3" ---Front Length: 99cm/39.0" ---Length: 137cm/53.9"
Featuring multiple pockets and a comfortable fit, this classic cargo short is a great everyday essential item. Great for safely storing your cell-phone, tools, wallet, and other items in an enclosed pocket. 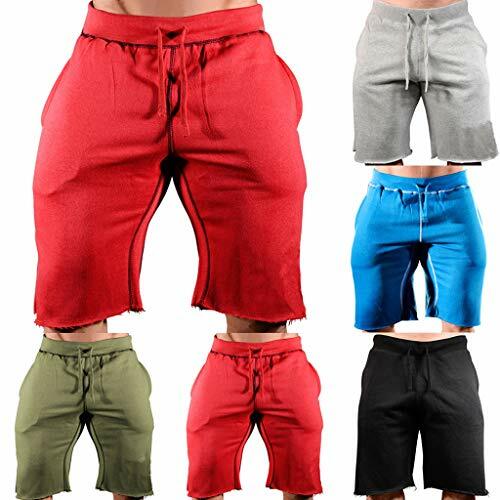 This classic cargo short is sure to be comfortable and functional for your everyday wear. From the outdoors or work, this short is built for versatility and comfort with a timeless silhouette and extra storage. Enjoy shopping in Gerichy Store ! 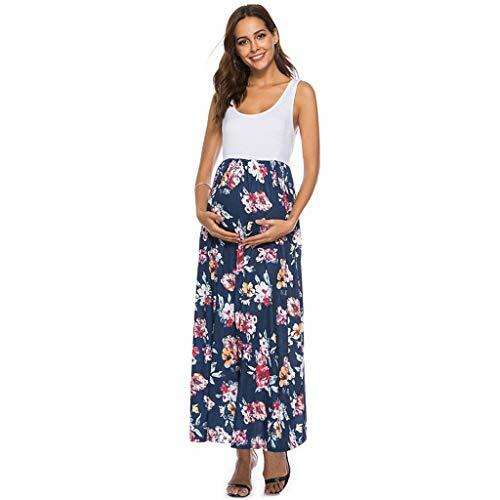 The maternity dress is suitable for many occasion like baby shower, home, hangging out, party ,work and casual gathering. The quality of our pregnancy clothes is of good elasticity ,breathable and comfortable. Ride rushing design can leave enough space to grow so it's no problem dressed after the pregnancy time. Please double check the size chart on the images or in the product description before purchasing to ensure fitting size. 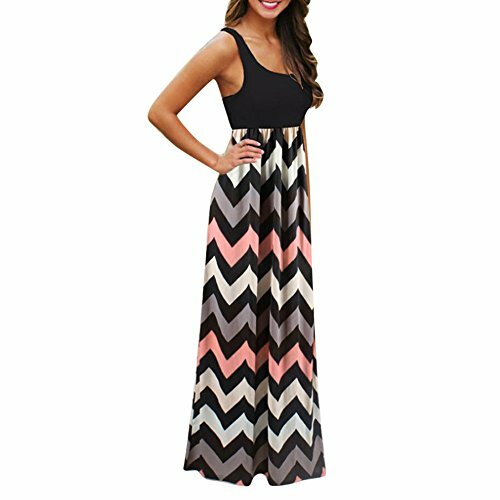  Suitable Occasion: Simple and comfortable style is great to be dressed for most occasion like baby shower,home,hangging out,breastfeeding,party,work and casual gathering. Material: Cotton blend.Soft and comfortable fabric is breathable and skin-friendly.  Size: Please refer to our size table for confirmation before purchasing. 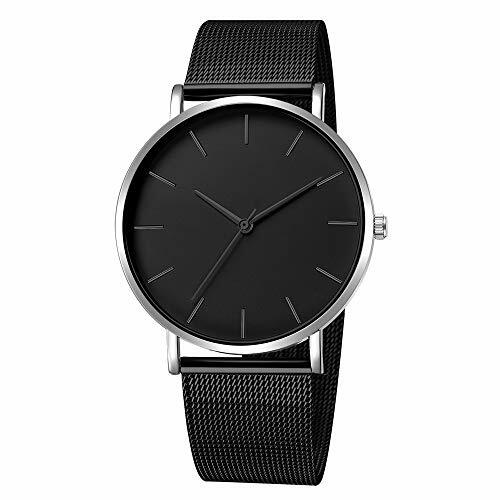 The product is the size table of Asia, which may be different from the size table you usually wear.  Service: If you have any trouble about the item please contact to the seller. Your satisfaction is our motivation.  Suitable for the crowd - leaders, bosses,colleagues, classmates, boyfriends, students, neighbors, teachers, husbands,etc., are good gifts for loved ones. 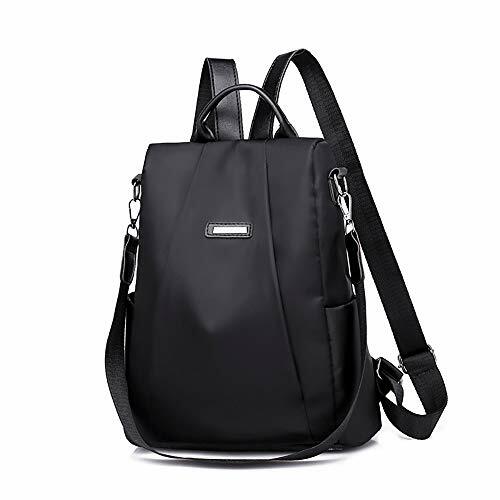 Suitable for outdoor and indoor sportssuch as running, hiking, fishing, Christmas, Thanksgiving, Hollywood, wedding,anniversary, birthday, graduation ceremony, Valentine's Day, and gifts, gifts,etc.  Please DONOT wear this watch when diving.Also avoid the use in extreme hot or cold temperature.  If you are not satisfied, please contact usvia email first. We will solve problem for you. Wish you have a good shoppingexperience here. Thanks a lot!